&QUOT;PICKERING&QUOT; IS A &QUOT;CONDO MANGO&QUOT; THAT HAS EVERYTHING FOR THOSE WITH LIMITED SPACE, AND IT ALSO REMAINS A TOP SELECTION FOR THOSE LOOKING FOR A NEW VARIETY TO PUT ON THE BACK FORTY. THEY NATURALLY HAVE A BUSHY, COMPACT GROWTH HABIT, AND CAN BE MAINTAINED IN A CONTAINER AT JUST SIX FEET. 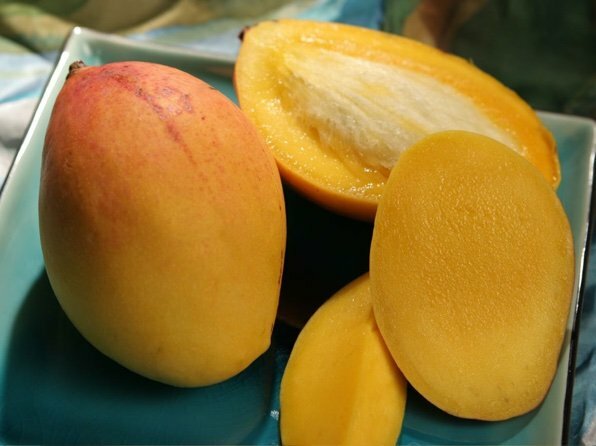 THE FRUIT HAS A FIRM FLESH WITH A FANTASTIC COCONUT/MANGO FLAVOR AND NO OBJECTIONABLE FIBER. THEY ARE TYPICALLY 0.75-1.5 LBS, AND THEY RIPEN IN JUNE.